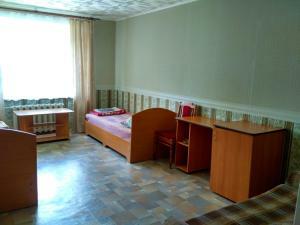 A-HOTEL.com - Luxury and cheap accommodation in Tsivil'sk, Russia. Prices and hotel, apartment booking in Tsivil'sk and surrounding. Hotel Airport is located in Cheboksary, 8 km from Olympic Stadium and 14 km from Moskva Shopping Centre. The property provides a 24-hour front desk and free WiFi is available. Boasting a garden, Araks Hotel on Promyshlenaya is set in Novocheboksarsk and also provides a terrace and a bar. Featuring a 24-hour front desk, this property also provides guests with a restaurant. Located in a quiet area of Cheboksary, 7 km from the city centre and a 5-minute drive from Cheboksary Airport, Hotel Comfort-Place features an indoor pool, a sauna, a hot tub, massage services, an on-site canteen, and free Wi-Fi throughout the property. Rooms here provide guests with a flat-screen TV, a desk, a wardrobe, and a private bathroom with a shower and free toiletries. Set in Novocheboksarsk, Hotel XL provides a bar. The accommodation features free WiFi. Inn on Promyshlennaya st is offering accommodation in Novocheboksarsk. All rooms boast a flat-screen TV with satellite channels and a private bathroom. Boasting a garden and free WiFi, Hotel New Continent is set in Novocheboksarsk. Guests can enjoy city views. Located in a green area of Cheboksary, next to Roshcha Shupashkar, Hotel Veda offers comfortable rooms with free Wi-Fi. Free private parking is available. Featuring free WiFi, Hostel 141 offers accommodation in Cheboksary, 6 km from Olympic Stadium. All rooms boast a kitchen and a shared bathroom. Set in Novocheboksarsk, Apartment on Sovetskaya 59a provides accommodation with a balcony and free WiFi. The accommodation is 15 km from Cheboksary. Apartment in Cheboksary provides accommodation with free WiFi, 7 km from Olympic Stadium and 13 km from Moskva Shopping Centre. The property has river views. Located in Cheboksary, 7 km from Olympic Stadium, Apartment on Traktorostroitelei 73 features accommodation with free WiFi. Fitted with a balcony, the units feature a TV and a private bathroom with bath and free toiletries. Located in Cheboksary, Imperia Hotel offers a bar. All rooms boast a flat-screen TV with cable channels and a private bathroom. Located in a quiet residential area of Cheboksary, a 15-minute drive to the city centre, Guest House Gold Oven offers comfortable rooms with free Wi-Fi. There is a sauna on-site. Located in Cheboksary, 5 km from Olympic Stadium, Aqualife Spa hotel on Leninskogo Komsomola has a garden, a bar and rooms with free WiFi access. Built in 2016, the property is within 12 km of Moskva Shopping Centre. Set 3.8 km from Olympic Stadium in Cheboksary, Odnokomnatnye appartamenty offers accommodation with a kitchen. Set in Novocheboksarsk, GRK "Maiak" provides a terrace and free WiFi. Providing a restaurant, the property also has a bar. Located 4.3 km from Olympic Stadium in Cheboksary, 1 ком.